Thorson A, Formenty P, Lofthouse C, et al. 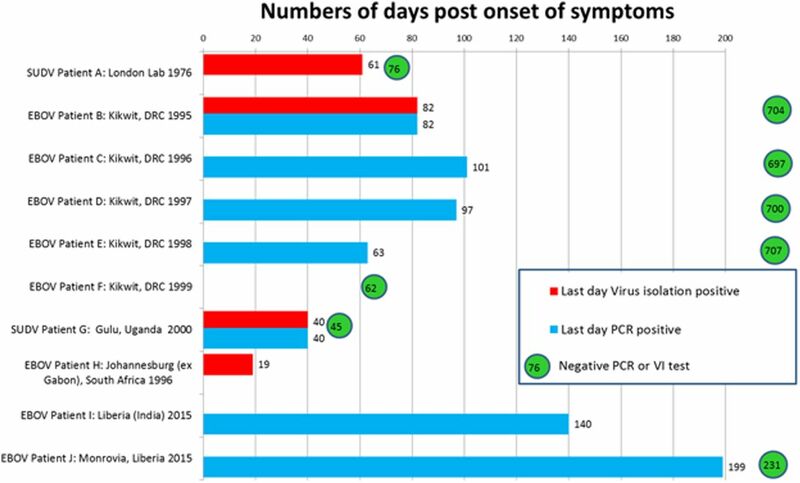 Systematic review of the literature on viral persistence and sexual transmission from recovered Ebola survivors: evidence and recommendations. BMJ Open 2016;6:e008859. A formatting error occurred in figure 1 of this paper. The information for patient F, which should be the green circle with 62 (referring to a negative test at 62 days) is superimposed on patient E, ie one line higher than where it should be placed, on the line below for patient F. The corrected figure is below.